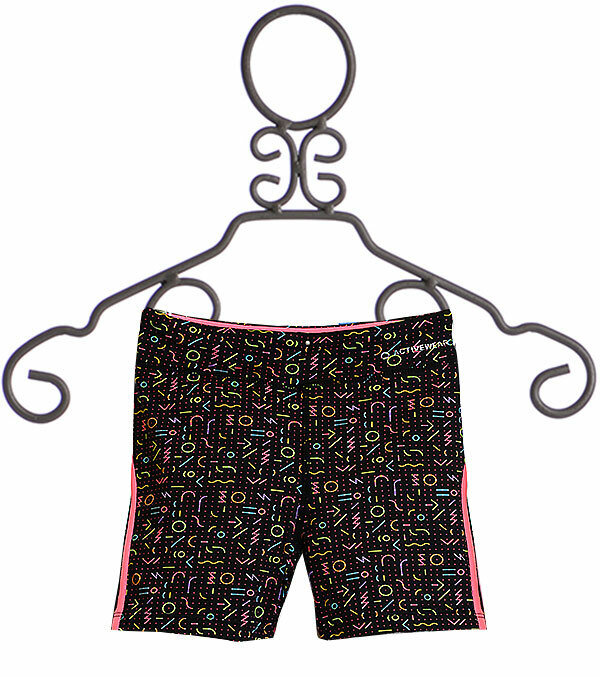 With a 90's feel, these trendy new workout shorts by Mayoral will be ready for her nonstop energetic self! Meant to be matched with Mayoral's graphic tees "Hello Pretty Coral Tee" or "You've Got This Top" she will have the cutest workout attire in the whole gym. 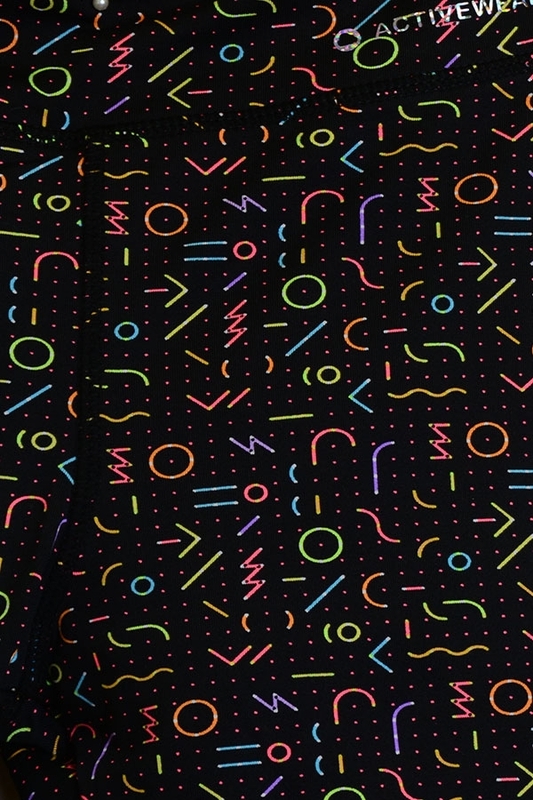 Bright symbols are found all over the black background of the shorts. Then on the pockets of the shorts a neon coral color follows the outline. 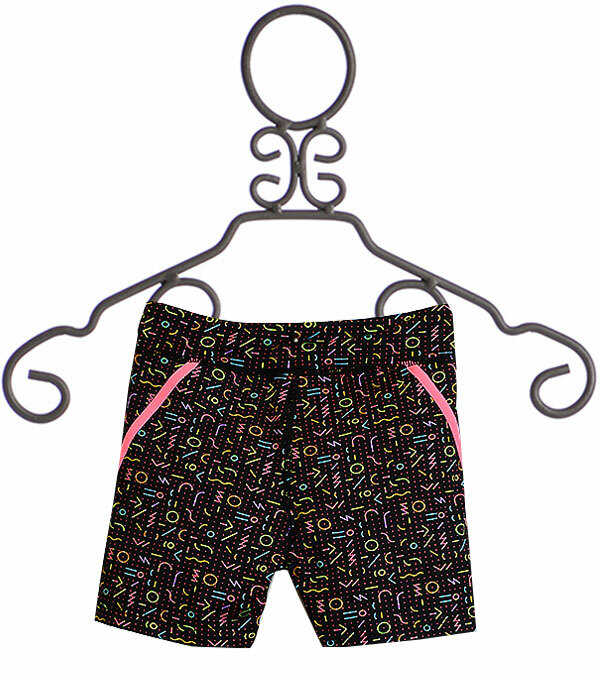 These shorts will be as bright and bubbly as she is, and ready for any twist, jump, or turn she will make!